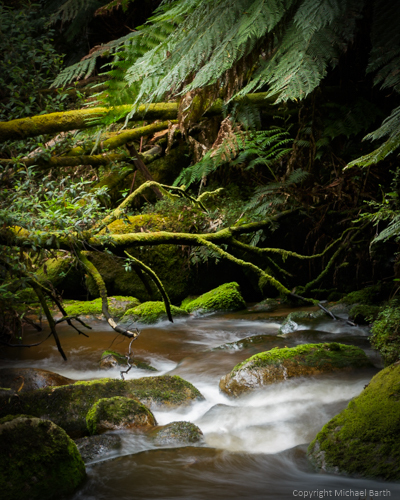 I visited the Toorongo Falls a couple of years ago and had wanted to return ever since. With some prompting from my son and some fortuitous rain the night before it seemed the perfect opportunity to make the 75 minute drive to the carpark. The walk isn't too long or difficult but it is uphill so if you are planning to visit the falls you should have reasonable mobility to climb the steps on the steeper grades. These pictures were taken on the way up to the main falls and are not of the main waterfall itself. Regrettably the viewing area for the main falls is quite small and limited and the photos I was able to take on the day were not as good as I would have liked. There are toilets in the carpark and some basic picnic facilities. If you do plan a picnic, be aware that you need to take all your rubbish with you when you leave so be prepared with a garbage bag. Going by the full carpark at the Noojee Hotel it seems most people prefer to have a bistro meal before returning home. Noojee is the closest town but it is quite small and there is no fuel available. The last fuel is at Nerrim about 12km back. Camera was a Canon 6D with Tamron 24-70mm f2.8 mounted on a tripod and using a 2 second timer to avoid camera shake. Settings were ISO100, f11, 24mm and exposure for each image in the set was 0.8 seconds. Processing includes the usual contrast, brightness, noise reduction etc. 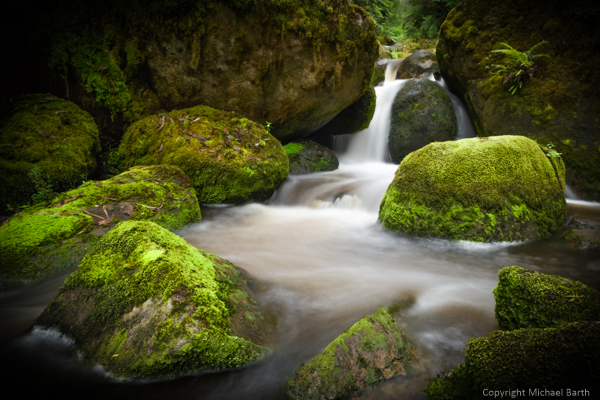 normally done in Lightroom and some additional work in Photoshop to stack the images to create the soft water effect. I shot the series of images quite intentionally the way I did as I don't have an ND filter to extend the exposure time sufficiently in camera.